Create stunning, durable and functional flooring in your home or business today with polished concrete in Kitchener, Ontario from the concrete artisans at Concrete Your Way. Their beautiful polished concrete surfaces will give you an environmentally-friendly, cost-effective solution for your flooring needs. Concrete Your Way can bring an existing concrete surface to life with concrete overlays and polishing techniques, or start fresh with a new concrete installation. No project is too big or too small for Concrete Your Way, they’ve worked with a wide variety of commercial and residential clients throughout the Kitchener, Toronto and London, Ontario regions. 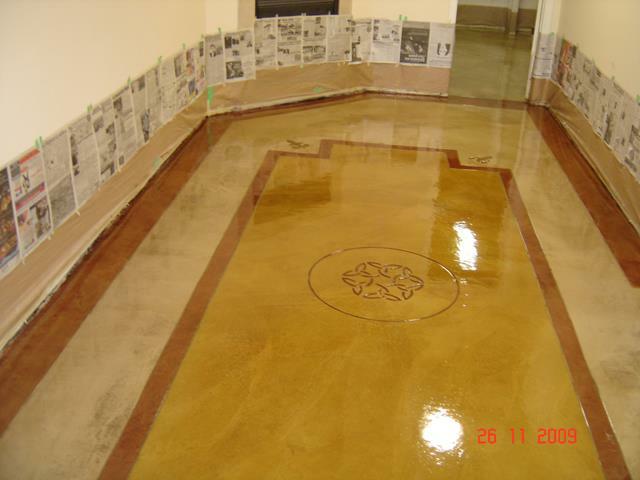 Concrete Your Way provides professionally installed, customized polished concrete in Kitchener, in addition to an array of other decorative concrete services, including stamped concrete, stained concrete, engraved concrete and concrete repair. Contact Concrete Your Way to get started on your next home or business improvement project today.